Tucked away down small streets, hidden behind secret alleys – Oxford boasts a wealth of excellent pubs but they’re not always easy to find. 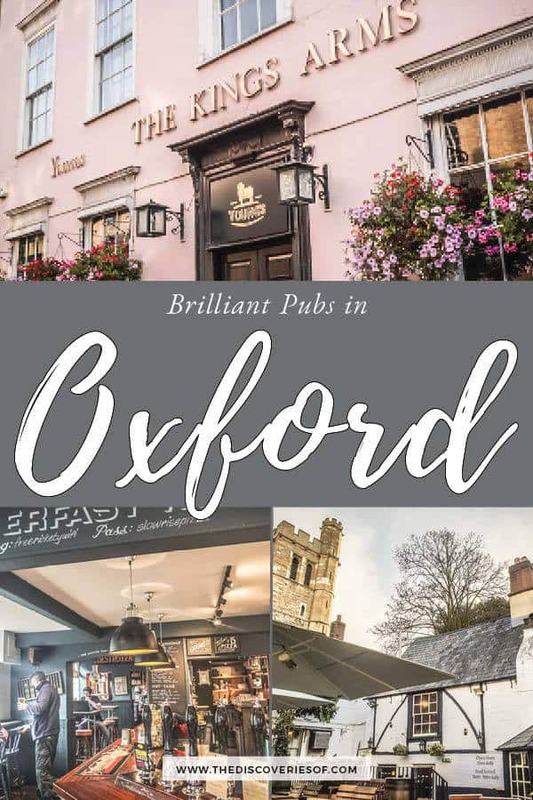 Check out this guide to the best Oxford pubs – historic inns, quirky taverns and literary haunts included. Finding a pub in Oxford isn’t difficult but finding a good pub in Oxford is a slightly different matter. Don’t get me wrong – Oxford’s pub game is strong. Where else could you sink a pint in a pub dating from the 13th century, have a few drinks overlooking the river and huddle in the same cosy nooks of many a literary great – and all before lunch? 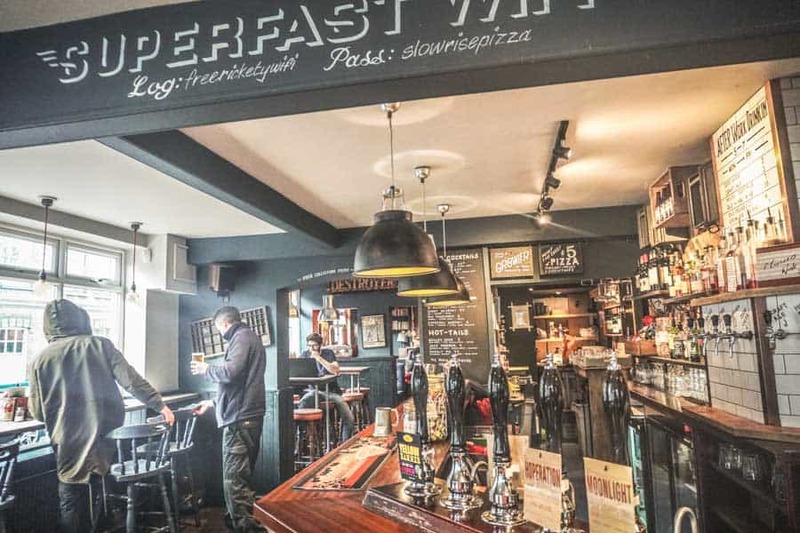 The best pubs in Oxford aren’t always on the main roads, in fact, they’re very rarely so. You need to know where to look. Here’s where to start. The Bear Inn (The Bear for short) is one of the oldest pubs in Oxford (many say that it is the oldest pub in Oxford). 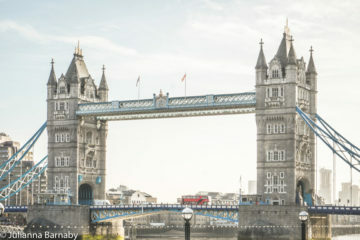 Whichever way you look at it – people have been drinking and carousing on this spot since 1242. The current buildings date from the 17th century. 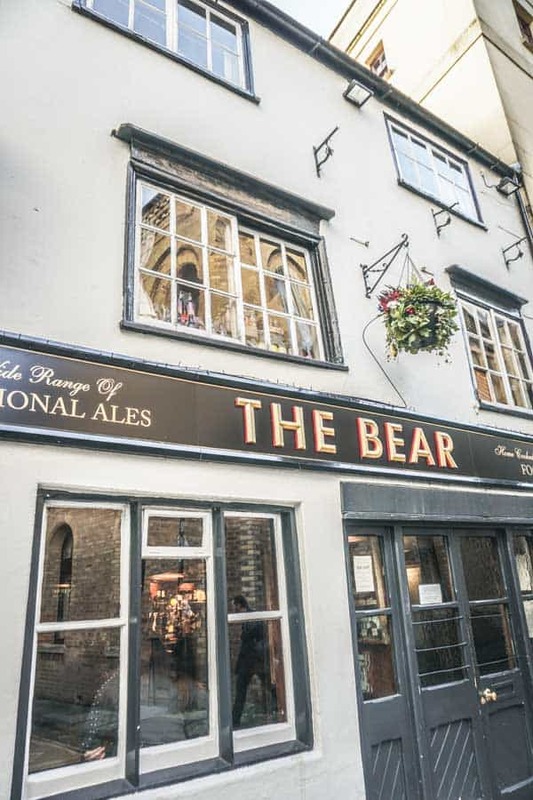 The Bear looks every inch the part of a historic Oxford pub – low ceilings, tiny rooms, beamed ceilings, worn wooden floors. 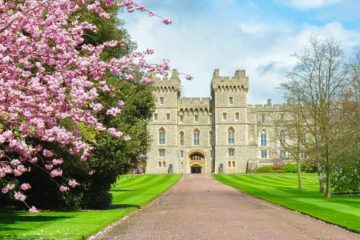 It’s as much a part of the city’s history as nearby Christ Church and should be high up on your list of things to do in Oxford. These days, The Bear is a Fuller’s pub serving up a good range of real ales including Fuller’s famous London Pride and HSB (Horndean Special Bitter)a rich and fruity ale that’s perfect for cold winters days. There’s almost no way that you would stumble across The Turf Tavern by accident. Hidden away and only accessed by two small alleys, The Turf is a pub that’s worth a little effort. Another of Oxford’s historic pubs, it’s difficult to date when the Turf first came into existence but it was doing roaring trade by the 16th century – it’s even said that the Roundheads used to meet in the pub to discuss the future of the King during the English Civil War. Those days are long gone, but The Turf Tavern is still one of the best Oxford pubs thanks to its pretty beer garden, half-timbered building and comfortable interior. If you look hard enough, you can even spot a bit of the old city wall in the garden. Miraculously, The Turf is still very much a locals pub, despite being named in pretty much every Oxford travel guide out there. It’s run by Greene King- I’m not convinced by the cocktail menu but everything else comes up trumps. 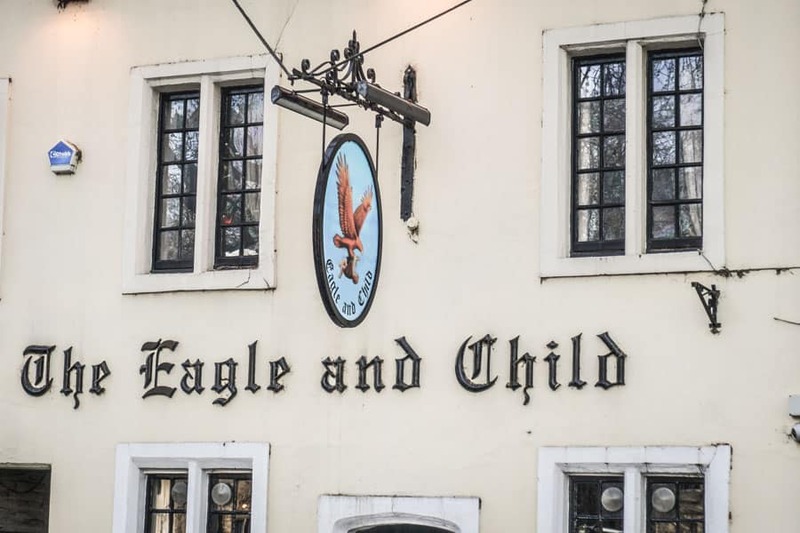 The Eagle & Child is one of those famous Oxford pubs that makes its way onto every single Oxford itinerary out there. 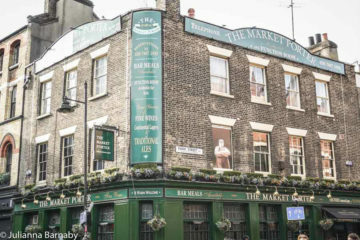 After all, who can resist the charm of drinking in the same pub where the world-famous Inklings (a literary society who counted J.R.R Tolkien and C.S Lewis among its members) met each week to discuss their respective works in progress? Sitting in the same spot where the plots of The Lord of the Rings and The Narnia series were dissected and evolved has a certain cachet to it. Away from its history, it’s a pretty standard pub – Nicholson’s have done well not to turn it into a tourist trap and it’s nice enough for a couple of drinks. 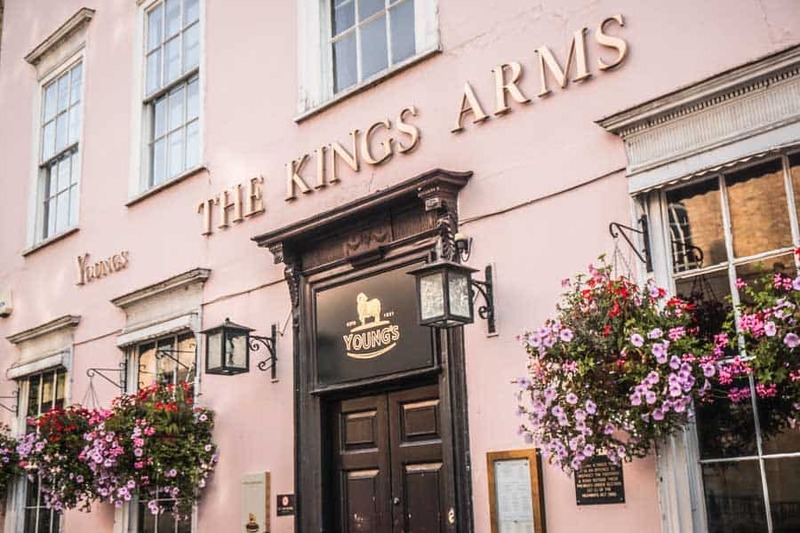 The Kings Arms is another pub in close competition for the title of the oldest pub in Oxford – it opened in 1607 and has been a popular student haunt and local drinking spot ever since. The pretty pink buildings are festooned with flowers in the summer months – at which time, you should try and bag a bench outside for the perfect people-watching spot in the city. 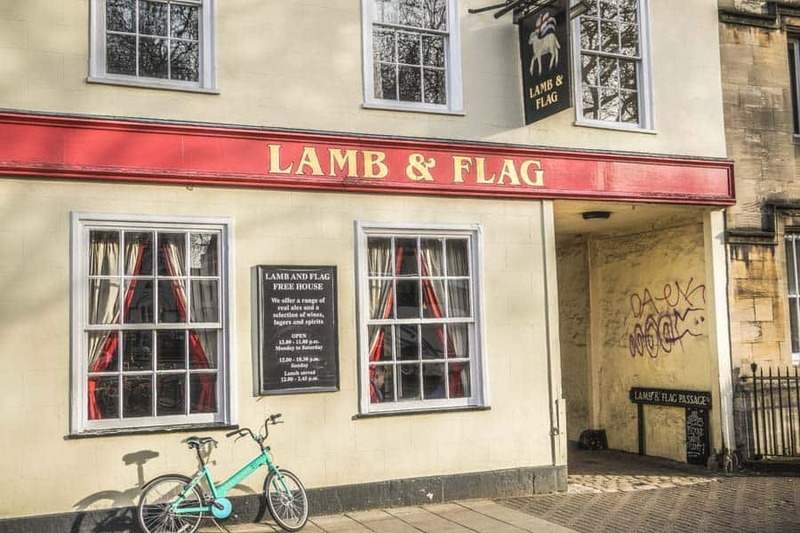 The Lamb & Flag is something of an oddity among Oxford pubs – it’s owned by St John’s College next door and profits from the pub go towards funding student scholarships. I’ll freely admit that I have a soft spot for the Lamb & Flag – as the pub in closest proximity to Keble College, it was the one I’ve probably spent most time in over the years. 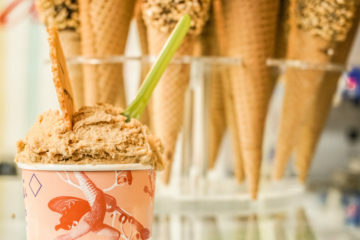 It has a lot going for it – plenty of seating, decent drinks and a friendly atmosphere. It’s a traditional no-frills pub but it does it very well – you would think so – it opened in the 17th century. The Rickety Press is a cool little pub in Jericho, Oxford. The pub used to be The Radcliffe Arms before being transformed into its current incarnation in 2015. It’s still great – treading the line between contemporary gastropub and laid-back neighbourhood hangout well. The Rickety Press is owned by brewery Arkells, so it’s no surprise that the beer is top-notch – with Arkells’ ales on taps and a range of locally-sourced beers available too. It also had one of the best wine lists of the pubs featured, so is a great choice if you’re looking to have a nice glass while you’re in town. The Jericho Tavern is a much more contemporary pub than many of the others you find in Oxford. 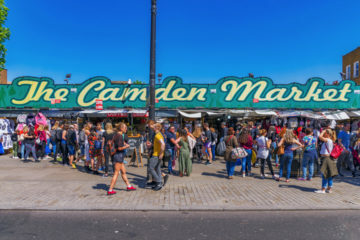 Lively and friendly, this drinking spot is a cool place for a few casual drink – particularly in the summer months when their spacious beer garden comes to life. The pub is more than just a pretty face – it boasts a rich history of live music from up-and-coming acts, some of whom, like Radiohead and Supergrass went on become pretty big stuff. Craft beer lovers should check out the offerings from the frequently changing resident craft brewery. It’s a nice way to drink a few beers you’ve never heard of before. A lot of the best pubs in Oxford are buried deep in the small streets of Jericho – and The Old Bookbinders Ale House is no exception. This family-run pub focuses on two things – good ale and good food – the kind that keeps their clientele returning again and again. This is no bog-standard chain pub. 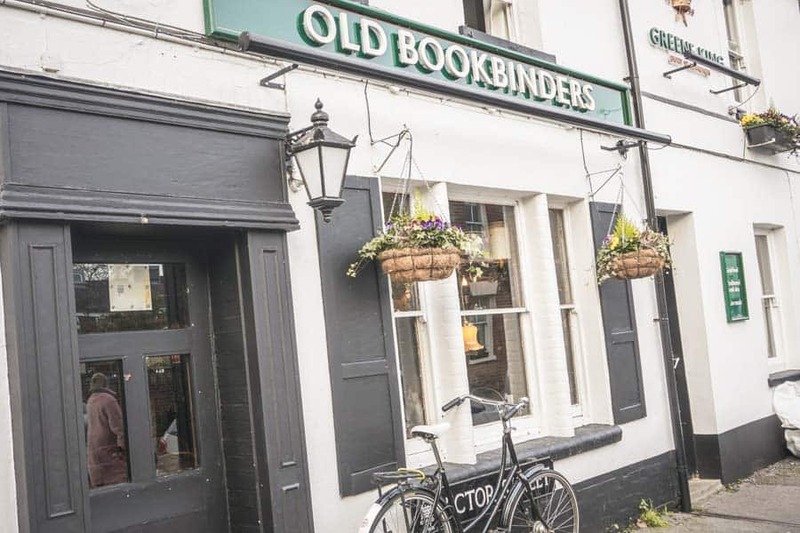 The Old Bookbinders has remained largely off the beaten track, though it is starting to draw more and more people down from Walton Street thanks to its food. Even without the food, it oozes charm with its quirky decor and relaxed atmosphere. You can’t go far wrong with a Sam Smith’s pub and the Three Goats Heads also just so happens to be one of the best pubs in Oxford’s city centre. Like all Sam Smith’s, the drinks are affordable and the pubs are proudly traditional. You only find Sam Smith’s own brewery products here (heads up, stick to the beer and spirits and stay away from the wine) – overall the quality is good and prices are low. What’s there to complain about? Great pub – check. Affable landlord – check. Secret beer garden – check. The Harcourt Arms ticks all the boxes. The pub is set on the corner of two small streets in Jericho, and takes a bit of finding – but you will be glad that you did. 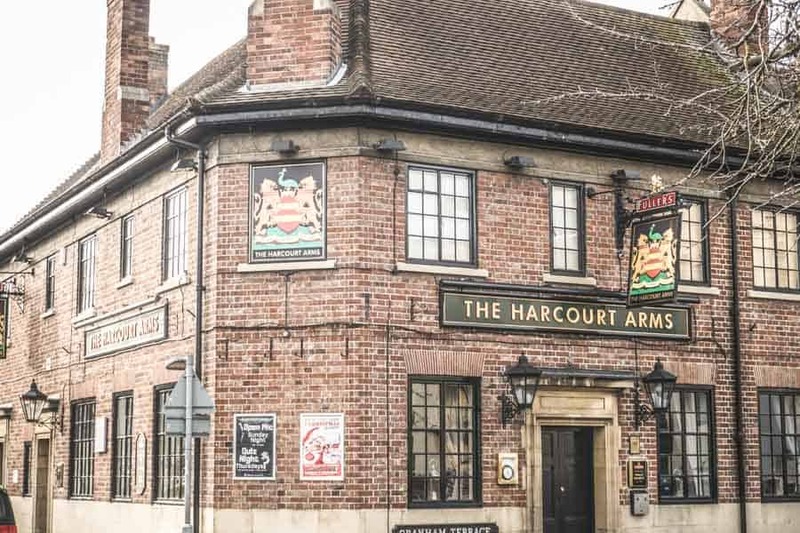 Grab your drink and snuggle in – of all the Oxford pubs, The Harcourt Arms is the one that most feels like someone’s living room. Informal and homely, there are also quite a few live music and open mic nights to liven things up each week. I would always recommend spending some time in Port Meadow to the north of Jericho during your time in Oxford. 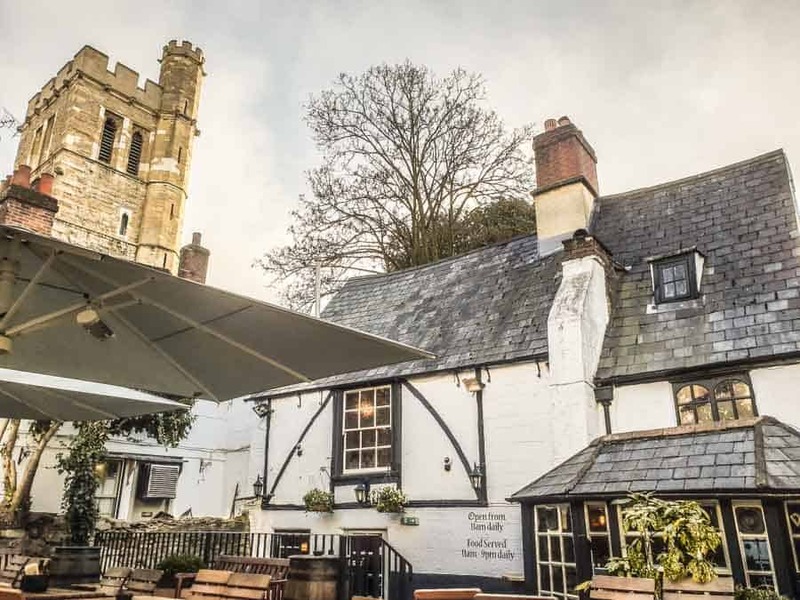 This ancient public land has remained untouched as Oxford has sprung up to the south – it’s a beautiful walk along the Isis to these two pubs. This cute riverside pub in Oxford is a bit of a walk (technically it’s in Binsey, but it’s only about a 10 minute walk from Jericho). There’s been a pub where The Perch stands for over 800 years – that explains the beautiful old building and the ye olde England feel – but it has a distinct character of its own. Open fires and plentiful outdoor seating make it the perfect year-round pub. Fans of Inspector Morse will also recognise the pub, which features as one of Morse’s favourite drinking holes in the programme. Thought it was a stretch of the legs to get to The Perch? You’d really better get your comfortable shoes on for the trek up to The Trout. But it’s an Oxford favourite nonetheless thanks to a massive waterside beer patio complete with the pub’s own peacocks. It’s certainly one of the more unique Oxford pub experiences about. Click here for a map of the pubs featured in this Oxford article.